I found this recipe in my Pillsbury cook book, this cook book is packed with great appetizer recipes! 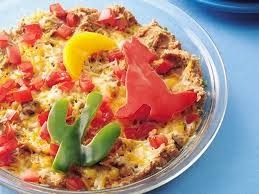 I love that this Mexican dip has a smoky flare to it, NUM!! !